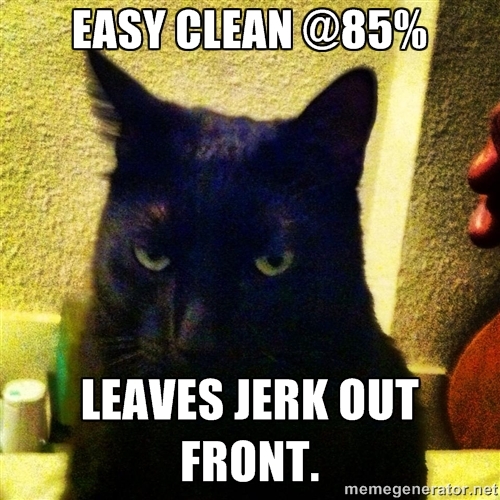 I “memeified” my roommate’s cat the other day for my team’s enjoyment. We’ve been living together for a while now, so he’s mastered the “coach’s face.” Although I’m sure he was fairly judgmental before that. I actually didn’t even know I liked cats until 2014. I actually still don’t know for sure. I just know I like this one; mostly because we can sit and listen to records together and judge things. Yes, his name is actually Benji. I still haven’t started my highlight video for last year. I mostly do this for myself. When time’s get hard, it’s good to be able to look back and reflect on a few good things I did last year. After all this time, progress is just as exciting as when I started. Perhaps more so.